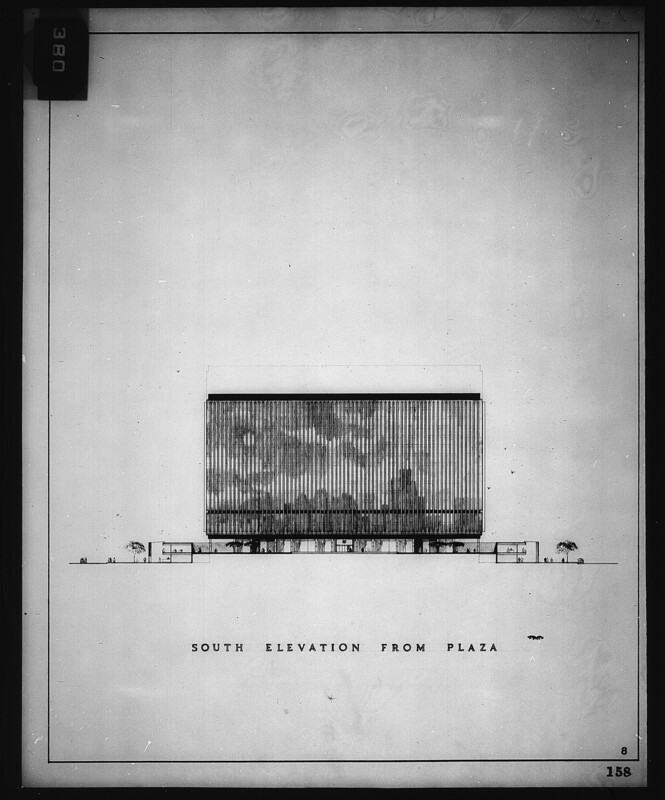 Architectural drawing, Competition entry 158, City Hall and Square Competition, Toronto, 1958, by William Hayward and Associates of the United States. South elevation from plaza. This entry was a finalist. 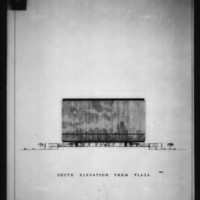 William Hayward and Associates., “William Hayward and Associates entry City Hall and Square Competition, Toronto, 1958, south elevation from plaza,” TPL Virtual Exhibits, accessed April 19, 2019, http://omeka.tplcs.ca/virtual-exhibits/items/show/1126.